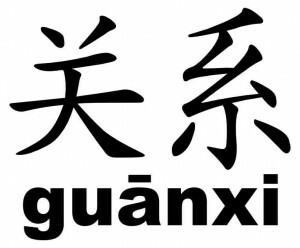 When I have a chat with friends, family, or even strangers about The Chinese Way of doing things, the conversation never fails to include the word “relationships.” But using guanxi to get things done is not all it may seem on the surface. It’s not just about friends helping friends… and when you’ve truly used guanxi to get something done you will likely feel different about that friendship afterward. If anything, “leverage” would be an even better choice of words. Relationships in China, and perhaps greater Asia, hinge on what you should and shouldn’t do as a member of a family. So, as a son or daughter you do what you’re told, which includes taking in a relative, for years if needed. It might be about marrying the child of your parents’ best friend or business partner. And if you want to keep on good terms with your uncle, you should help him get that land deal for his factory; after all, when his factory is finished he’ll appoint your son as general manager. The same works for non-family members, although the long-term implications are not the same. If I do you a solid, I can certainly expect one back. Doing each other favors happens all over the world but the guanxi thing goes one step further. Lets say I need a mentor for my Phd program. Now, of course, professors have busy schedules and in China they are not assigned to be mentors. So “pigs and tea” begin to enter the equation. When you make your request to the prospective mentor, or anyone you’re trying to work closely with to achieve your goal, you need to find an excuse to give them something. Perhaps you notice that she drinks tea everyday, so then you buy $500 of fine tea and bring it to your meeting. Others might prefer a roast duck or pig dinner. This is also called 去吃饭 or simply, Going Out to Eat. My favorite euphemism of all! If you are trying to decide what gift to give a prospective mentor, you can ask “Will he go out for dinner?” And your contact or insider might say “no, he doesn’t go out for dinner.” After a while, these kinds of discussions can get very confusing, so, you and your guanxi partner need to be on the same page from the very beginning. All of this indirect communication can get mentally taxing if you aren’t up for it. Perhaps it’s one of the reasons I left China. But if you are up for playing the guanxi game, it’s important to be extremely honest with yourself about what limits you are willing to go to; otherwise, you just might end up selling your soul for your goal rather than earning it.